Barcode EAN is originally an abbreviation for European Article Number, which was later adopted also in other countries and has been changed to International Article Number, although the original EAN abbreviation remained in use. EAN has substituted an older system UPC (Universal Product Code) developed in USA. EAN is 13 digit and UPC is 12 digit codes. 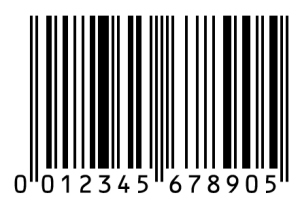 EAN barcodes are defined by the standards organization GS1. Country code – the first three digits are country codes, where the manufacturer is registered. This is not necessarily where the product is actually made. Please see the full list of country codes below.